Our Fabco Parts Warehouse is fully stocked with parts and accessories that are ready to ship today and be there tomorrow. We have everything you can possibly need to complete that overhaul or repair of your transfer case today! Do not hesitate to call and speak with our experts on what is best for you and your truck. Call 877-776-4600 for discount pricing and availability. We also offer a complete line of Fabco parts as well as repair and rebuild kits to overhaul kits for your transfer case. Use Genuine Fabco parts when rebuilding your transfer case. 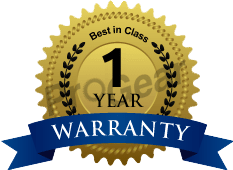 We provide a one year warranty from the date of sale. Use genuine Fabco patented accessories to completely overhaul your transfer case or a single part to repair it. 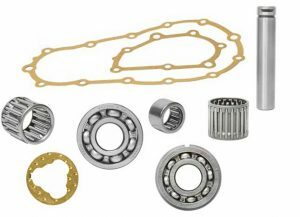 We stock rebuild kits, bearing kits, bearings, gasket kits, gaskets, master re-builder kits, input shaft, air hoses, synchronizers, shift fork, O-rings, main shaft drive gear, countershaft drive gears, countershaft overdrive gears, main shaft overdrive gears, shafts, slave valve, shift knobs, m/s washers, m/s key, auxiliary washers, front bearing cover, output seal, snap-rings, clutch shaft bushings, sliding clutch, electronic controls, transmission sensors, shift tower, shift stick, shifter, range valve, speed sensors, splitter cover for 13 and 18 speeds, shift tower, O-ring, clutch brake, air systems, tapered roller bearings, ball bearings, cylindrical roller bearings, yokes, cases, bell housings, snap rings, O-rings and bushings, we stock supplies for rebuilding any transfer case as well as factory remanufactured transfer cases for sale. Enhanced seals provide greater protection against damage caused by lube loss. New Fabco synchronizers are the most durable in the industry, with greater wear-resistance for longer life. Genuine Fabcos increase uptime and improve productivity More durable and improved seals mean less required maintenance resulting in increased vehicle uptime and improved productivity. Our shipping warehouses are strategically located across the world to ensure fast delivery. Whether we use your freight carrier or ours, you can rest assured that we will get your product to you on time. Established in 1997, we have been providing quality parts, repair, and service for over two decades. Our goal is for you to be able to complete your job in the least amount of down time possible. Our service technicians have over 100 years of combined service experience. Give them a call at 877-766-4600.Call today with any questions, parts or service requests you have. We have the answers you need. Hablamos Español solicita ser conectado con uno de nuestros expertos.